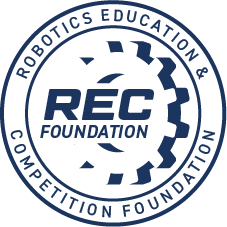 Create an animated video or simulation that shows and explains a VEX Robotics Competition game. This is your chance to get creative and invent a game within the requirements of this challenge, and demonstrate the game being played in a virtual environment. Construct a “real” VRC game that is affordable, easily constructed by volunteers, obeys the laws of physics, has understandable rules, is interesting for participants to play and audiences to watch. VEX Robotics Competition team requirement: Must be part of a registered VEX Robotics Competition team for the current season. Only one entry is permitted by the same person. Each team in a multi-team school or club program may submit an entry. For example, teams 123A and 123B could each submit an entry, but team 123A could not submit two entries. The Challenge Objects introduce a real-world limitation. As with most engineering problems there are always constraints, and in this contest the Challenge Object is one of your constraints. This year, we are offering some "greatest hits" game objects from the past few years, along with an object of your own creation. You must incorporate at least one scoring object from past games (such as cubes or stars from Starstruck, barrels or balls from Gateway, etc.). You must also include one additional scoring object of your own creation, and the object used must be significantly involved in the scoring of the game. And here’s the catch: This new object cannot have appeared in any previous VRC games. All scoring objects must be made of different materials with different textures. For example, Starstruck had rigid foam stars and soft plush cubes – both objects were not the same material. You must incorporate the physics of these different materials into the game, showing how it affects game play. Materials can be hard, soft, squishy, flexible, etc. Textures may be smooth, rough, hairy, slippery, etc. Any animation method may be used, including computer-generated images (CGI), claymation, stop motion, paper, or hand-crafted art. Traditionally this is a CGI contest, but we are always interested in other creative approaches. You may NOT use video of live action – remember this is an animation contest! Create and post to YouTube a video showing the game, rules, gameplay and scoring. At the end of the video, there must be a credits section no longer than 15 seconds (Total allowed video length is 3 minutes and 15 seconds with credits included). Games/animations submitted in previous Online Challenges are not eligible for submission this year. Start with a title screen and introduction that states the name of the game. Show and explain the scoring objects and field objects (goals, ramps, barriers, obstacles, etc.) in the game. Identify which scoring objects are from past game(s), and which you custom designed for this game. Explain how the challenge objects are used in scoring. Demonstrate the game being played, explaining and/or showing important game dynamics, rules and penalties. Show how a demo match would be scored, and show who would win. The 15-second credits at the end must include the VEX team number (if any), entrant(s) names, credit to any music used, and the software used to create and edit the video (if any). You may include other information if you would like. The video should well-produced and exhibit good editing, animation techniques, and use of music and narration. Please note: you must use music in the public domain, or YouTube may delete your video. Robots featured in the animations should be constructed from VEX parts, follow the laws of physics, and should be functional in the real world. Judges will select at least ten finalists from the submitted entries and will take community voting results into account in making their choices. The finalist submissions will then be judged by additional selected professionals whose scores will be combined with the preliminary-round judges’ scores to determine the winners of this challenge. Quality of your game: can this be a real VRC game that is affordable and easily constructed? Is the game easy to understand and score? Is the game interesting and creative? Does the custom scoring object you created make sense within the context of the game? Are the robots constructed using VEX parts, and can they function in the real world? Quality of your animation: does it look professional? Quality of sound: is the narration easy to understand and is the music mix clear and easy to hear? Is the video well-produced: does it exhibit good editing, animation techniques, and use of music and narration?